Message from china.com.cn (Zhang Yayun) OnJune 13, “Brilliant (Brilliance of Shaanxi) New Era Pilot the New Silk Road—Voiceof Shaanxi ,Via Which We Communication With The World”interview group visited the scenic area of the Xi'an Museum in Beilin Districtand experienced a time-travel journey characterized by “harmony between ancientand modern” and a historical feast of "cultural communication". Xi'an Museum is located in the southernXi’an and covers a total area of 160,000 square meters (245 mu). 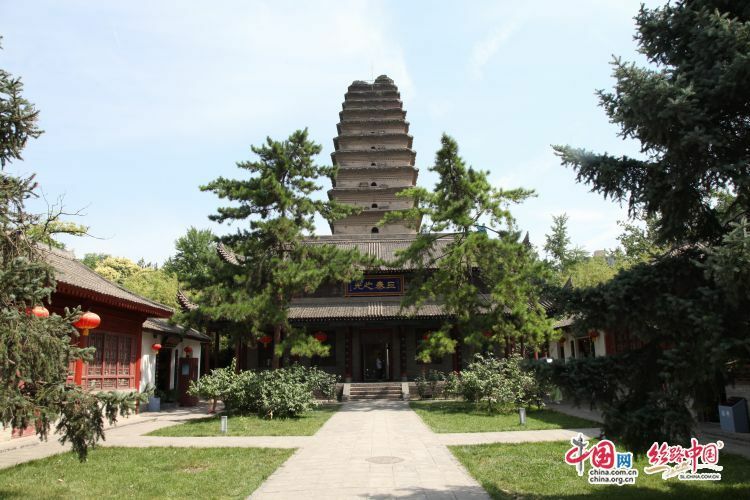 It integratesthe national key cultural relics protection unit such as Small Wild GoosePagoda of Tang dynasty, Jianfu Temple ancient building complex, and modernmuseums. The museum is unique among all museums in the country and entered theWorld Cultural Heritage List in 2014. 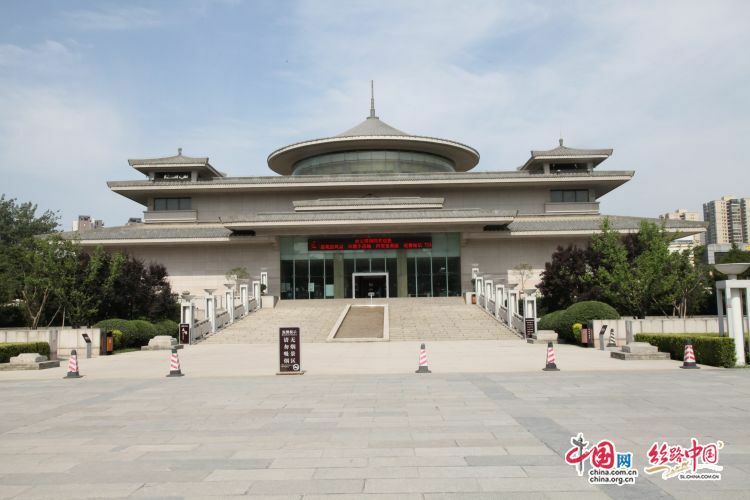 The staff explained to the interview teamthat the Xi'an Museum, as the main building, was the national first-classmuseum designed by Zhang Jinqiu, a academician of the Chinese Academy ofEngineering and a famous architectural design master. Xi'an Museum has 111,457pieces of cultural relics and more than 100,000 ancient books. 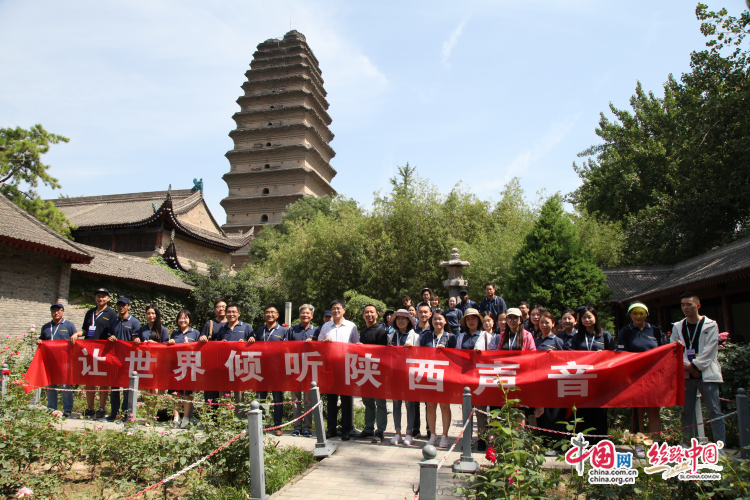 After the FijianTemple of Tang dynasty and the Small Wild Goose Pagoda were damaged due tohistorical reasons, they were repaired and restored according to the principlesof restoring the old as the old proposed by Mr. Liang Sicheng, an architecturalhistorian. 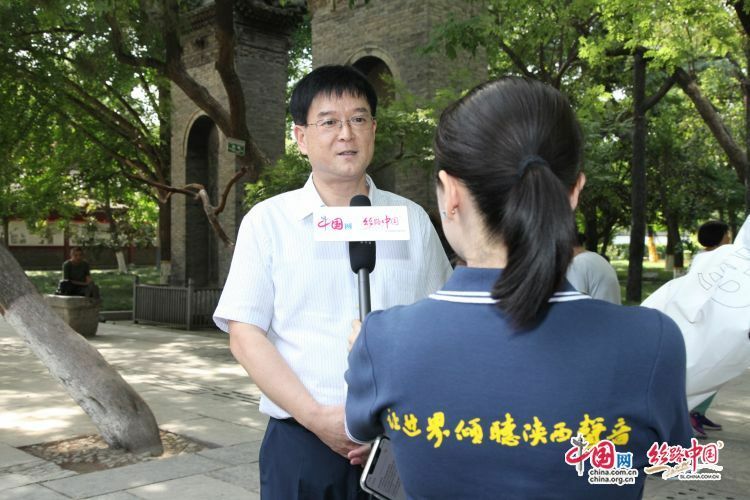 In the interview, Yu Hongjian, head of theXi'an Museum, said that in addition to organizing a series of activities suchas the Happy Chinese Festival, the Xi'an Museum Lecture, concerts, and theGreat Fujian Temple Fair to attract tourists, the Xi'an Museum signed strategiccooperation agreements with professional companies to develop cultural andcreative products, develop the cultural tourism industry through the way of IPauthorization. Recently, the Xi’an Museum has signed astrategic cooperation agreement with Tencent to develop cultural and creativeproducts and smart navigation. The purpose of cooperation with the Himalayas isto use its platform to transform the history and culture of Xi’an into acultural story that everyone loves to see and to promote traditional historyand culture. 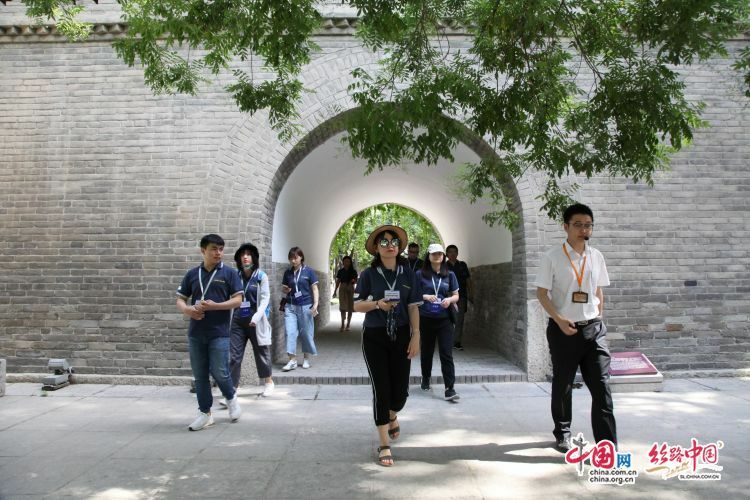 In addition, in June of this year, Xi’an Museum also cooperated withthe Western Film and Television Channel to create the "Most BeautifulGraduation Season" activity. While undergraduates took graduation photosin historical and cultural heritage sites, they also experienced thetemperature of history and culture and transformed their confession towardsteachers and classmates to the confession of the city, allowing them to settledown and set up businesses in this city, which is also a beneficial explorationof Xi'an as a popular city. Yu Hongjian also emphasized that in orderto better protect and highlight the Small Wild Goose Pagoda, a historical andcultural heritage, Xi’an Museum is planned to build a new hall with an area of50,000 m2 opposite to the current Xi’anMuseum, which fulfilled the spirit of the speech "a museum is anuniversity that allows the cultural relics to become alive, let the culturalrelics speak, and let history speak" emphasized by General Secretary Xi.At that time, the new museum will mainly display the culture of Tang dynastyand take into account the historical and cultural development of Zhou, Qin, Hanand Tang dynasties and the entire Xi'an city. Inthe face of more and more fierce competition, only by continuously getting ridof the stale and bringing forth the fresh, bringing in advanced technologiesand conducting the most effective publicity and promotion can Xi'an Museumallow the cultural relics speak in the new era, speak Chinese history andculture to the world, tell brilliantly the story about the “forest of steles”.